In the March print edition of First Things I reviewed the book The Fine Delight: Postconciliar Catholic Literature by Nicholas Ripatrazone. The review has been posted online, but to read the entire article you need a First Things subscription or must pay $1.99. 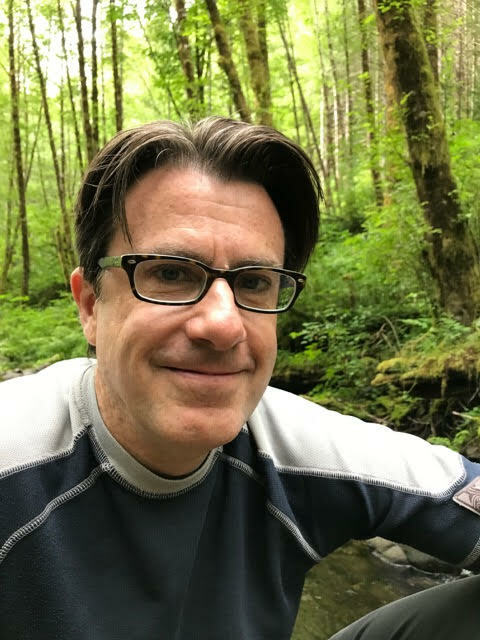 Ripatrazone has written that my 2011 essay in The Millions titled “Where Have all the Catholic Writers Gone?” was in part an inspiration for his book. 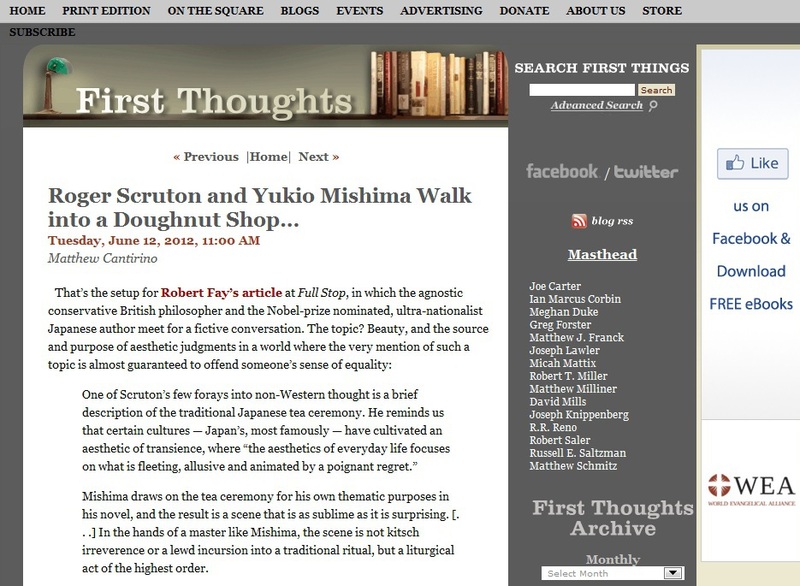 I really love the headline that First Things gave to their blog post about my feature essay in Full Stop: “Roger Scruton and Yukio Mishima Walk into a Doughnut Shop…” That’s perfect. Read the First Things post on my essay about Mishima, Roger Scruton and beauty.